My kids having a blast at the Painting With A Twist Summer Camp. You can choose weekly or daily camps. 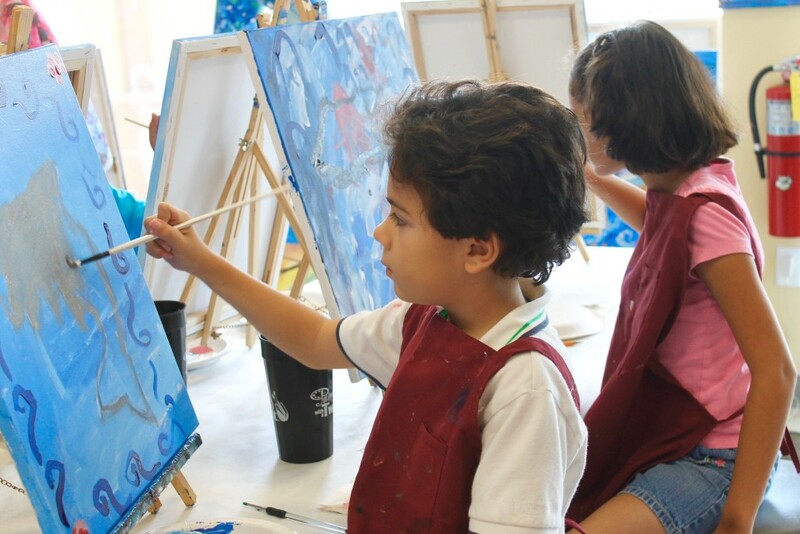 Trained professional artists will lead the children in age appropriate activities including painting, games, group learning activities and snacks. Little painters will explore their own unique creative style with a daily painting based on that week’s theme. They will learn art techniques and many other things throughout the week through painting and fun art related activities. It was this kind of opening day at Pandora – The World of Avatar: There were lines to get into other lines. LONG lines to get into other long lines. The kind of lines you swear you will never step into. Airbnb use in Central Florida has been growing exponentially, according to statistics the company has provided. In Osceola County, there were 67,794 people using airbnb in the first quarter of 2017 — a 104 percent increase from the prior year. Walt Disney Co. CEO Bob Iger and “Avatar” director James Cameron appeared briefly Wednesday as Animal Kingdom theme park showed off its new Pandora land to hundreds of reporters from around the globe. Pandora: The World of Avatar opens Saturday at the Walt Disney World.